Rina Grant drove around the Kruger National Park and found it curious that one seems to always find animals on the short grass areas rather than areas where there is lots of grass. In her post-doctoral study, Grant looked at possible reasons, and found that the grasses on these sites were indeed more nutritious. As an expansion of this, published in the African Journal of Range & Forage Science, Volume 36, Issue 1, 2019 “When less is more: heterogeneity in grass patch height supports herbivores in counter-intuitive ways” looks at whether animals really selected the short grass patches or whether it was easier to see them there. The study observes which patches were frequently utilised, by doing regular monthly road counts, grass height observations and dung counts on selected short grass patches in the Kruger National Park. Grant thought that one may find different patterns of utilization in the different areas of Kruger. 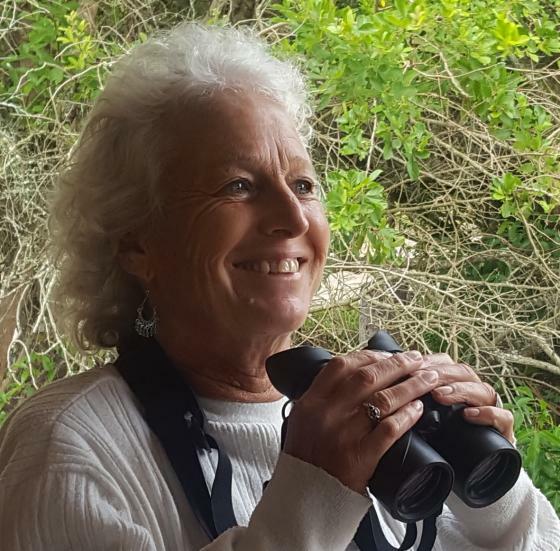 “Because it is interesting and exciting driving in Kruger and especially looking at where animals are, I had the opportunity to get inputs from many scientists on the design of the project and the interpretation of the results,” Grant said. Herbivores are an integral part of the African landscape and have evolved with the vegetation to create the savanna landscape. Managers of these landscapes can benefit from a better understanding of how indigenous herbivores use the landscape to which they are adapted. Smaller-framed impala and blue wildebeest (meso-herbivores) were most regularly seen on these nutritious patches, while from dung deposits it was clear that the even larger-framed buffalo (mega-herbivores) spent time there. This preference can be explained by considering the nutritional needs and food intake of the herbivores. Smaller-framed herbivores seem to be able to satisfy their dietary requirements on the high-quality forage patches, while larger-framed herbivores seem to supplement the quality forage by also spending foraging time on areas of higher grass biomass. From this insight, Grant and her co-authors propose that range management should take herbivore preferences into account and allow herbivores to select and concentrate their foraging on the most nutritious forage. This approach, according to the paper, is likely to decrease inputs while allowing animals to maintain or increase production. Judith Botha: Grant has worked with Botha for about 20 years. They started by looking at the use of dung analysis to evaluate the nutritional status of herbivores, but later she specialized in statistics and she did the sophisticated statistical analysis for this paper. Thelani Grant: Thelani Grant was very keen to do a MSc related to this project and joined Grant on all the field trips. She used some of the data collected for her MSc thesis. Mike J S Peel: Peel is the head of the wildlife research group of the Agricultural Research Council in Nelspruit. He provided important input to the project and offered the opportunity to look at systems on private reserves. Izak P J Smit: A project on the effect of waterholes on the surrounding vegetation developed into a PhD and later to Smit joining SANParks as the program manager responsible for remote sensing. Apart from joining Grant on some field trips, he gave advice on the design of the project. His thinking helped to make the manuscript understandable. Photograph: Rina Grant on one of her many expeditions.